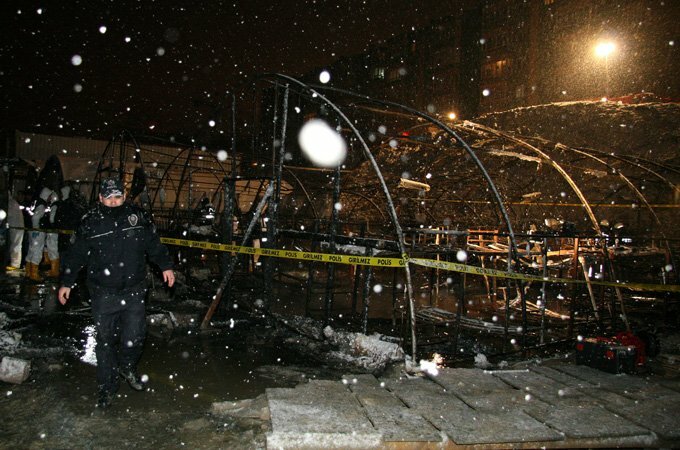 At least 11 construction workers have died after fire swept through a tent at a building site in Istanbul, Turkey. The incident happened in the district of Esenyurt at the construction site of a shopping centre. TV footage showed fire crews, working under floodlights in the snow, recovering the bodies of the workers from the ruins of the tent. Esenyurt Mayor Necmi Kadioglu said the suspected cause of the fire was an electrical heater. Images from the scene showed adjacent tents had also been burned down. “Between 11 and 14 workers are believed to have died in the fire,” Mayor Necmi Kadioglu told state-run TRT television from the scene. “This is the site of a shopping mall. It appears the fire has something to do with the heating problem as it is freezing here,” Necmi Kadioglu added. City officials said an investigation had been opened.